Stainless steel surface for hygienic weighing. Large LCD for easy-to-read weight display. 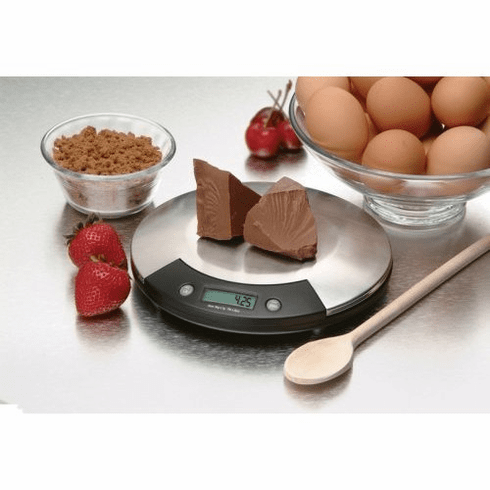 Up to 7 lb capacity with fine readouts of 0.125 oz for precise weighing. Automatically adjusts for large bowls or containers with zero reset. Battery saver auto shutoff function. Includes 9V battery.